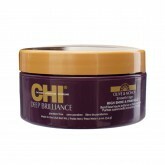 Includes: 3- Moisture Shamp 12oz 3- Moisture Cond 12oz 1- Deep Protein Masque 8oz 1- Shine Ser.. 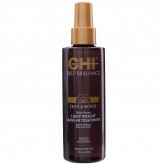 This Intro Includes: 3 - Moisture Shamp 12oz 3 - Moisture Cond 12oz 1 - Deep Protein Masque 8oz..
Restorative rich cleanser formulated with natural Olive and Monoi Oil botanicals, herbs, and vitamin..
CHI Deep Brilliance Light Weight Leave-in Treatment is formulated with Olive Oil and Monoi Oil,..
Shine Sheen Spray 5.3oz replenishes oils, giving hair a natural shine while Shine Serum 6oz provid.. 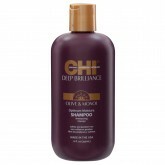 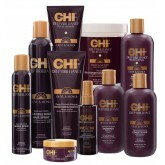 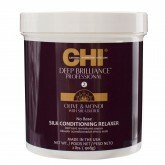 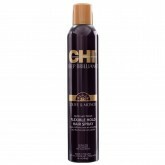 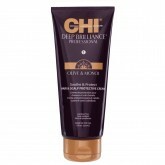 The CHI Deep Brilliance Olive & Monoi Silk Conditioning Relaxer System is formulated using a ric..